"I believe my team are the best electrical team you'll ever hire. You have my personal guarantee that all the work we do, will meet or exceed your expectations." PowerHouse Electric is an ESA Approved electrical contractor offering complete electrical services exclusively to commercial and residential architects, builders and general contractors. 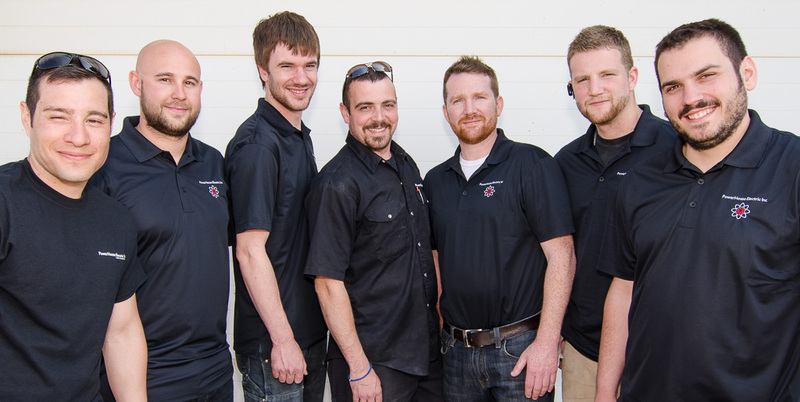 We've been in business for nearly 10 years and pride ourselves on being one of the most reliable electrical contractors you'll find in the Greater Toronto Area. We specialize in commercial and residential new construction and remodeling projects, providing everything you need for a complete and safe electrical system from start to finish. No matter if you're working on a new home or restaurant refit, our electrical design team ensures your electrical system is designed to meet your project requirements in a safe and economical way. Our team of licensed electricians will then follow up with a professional and timely installation of your electrical system. All of our work is fully guaranteed to exceed your satisfaction and meet the minimum requirements of the electrical code. 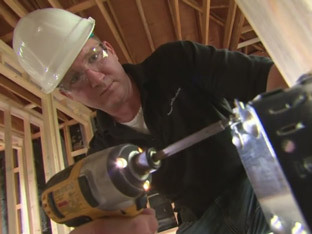 Many builders and general contractors have already put their reputations in our hands. Isn't it time you started using an electrical contractor you can trust? "My clients frequently call me to compliment the work Powerhouse provides, including some clients who are electricians themselves. 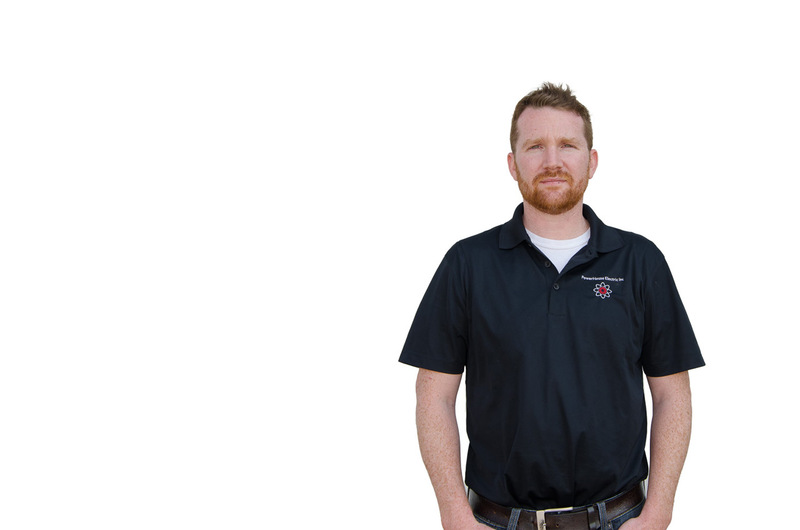 I would highly recommend Powerhouse to anyone seeking a reliable, quality electrician." "Always professional, always punctual, and always on quote. With the knowledge and ability to handle any request, and helpful insight into lighting and layout design, Powerhouse is an indispensable asset to my clients and my business." "Although Peter is the man behind PowerHouse, he has a competent staff, all of whom have excellent people skills as well as technical skills. 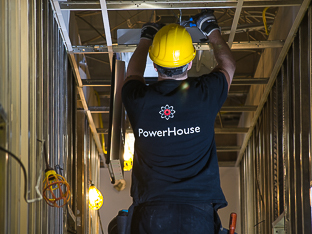 I would not hesitate to recommend PowerHouse to anyone who wants a reactive, skilled electrical company." "Powerhouse has always delivered on time and with no issues. They are very easy to work with and try to accommodate all requests. They do what they say with no surprises. The quality of work is excellent. I would give Powerhouse a strong recommendation to anyone in need of their services." "Powerhouse Electric has consistently delivered a high rate of service and professionalism on each job along with the ability to handle unique installations in situations where the look of a finished project is very important. I would highly recommend Powerhouse Electric to anyone seeking a fully qualified group of Electricians with an eye for detail." 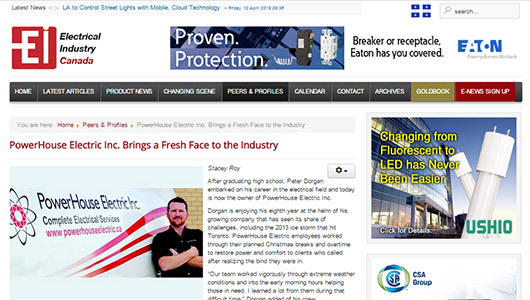 We were recently featured in the Electrical Industry Canada magazine. Click on the image to read the full article and find out how we're trying to bring a fresh face to the electrical industry. As a proud member of the Ontario Electrical League, it was a privilege to be part of the new OEL video. Watch the video and you'll see Peter do some of his best acting to date. As an ESA Approved Contractor, we are fully licensed to carry out commercial and residential electrical work in Ontario. 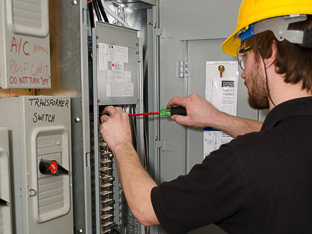 When you hire us for your electrical project, you can feel safe that all our electrical designs and installation will meet the Ontario Electrical Safety Code. 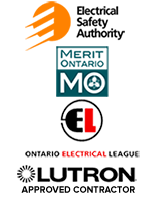 We are a proud and active member of the Ontario Electrical League. As a member of this non-profit organization we are able to access an enormous amount of industry knowledge and resources. This enables us to provide an extra level of service over and above the norm. Merit Ontario is a contractors association representing Ontario's open shop construction sector. As a member of Merit we practice and encourage a flexible and cooperative workplace to help promote innovation, training and efficiency that ultimately helps us serve our customers better. We are authorized to design, sell and install Lutron solutions and products. As a Lutron authorized installer, our electricians have completed the "Lutron Electronics Residential Energy" accredited contractor training and are trained to design, sell and install all of Lutron's solutions and products. Isn't it time you started working with a Reliable Electrical Contractor?